Clear PVC upper with man made sole. 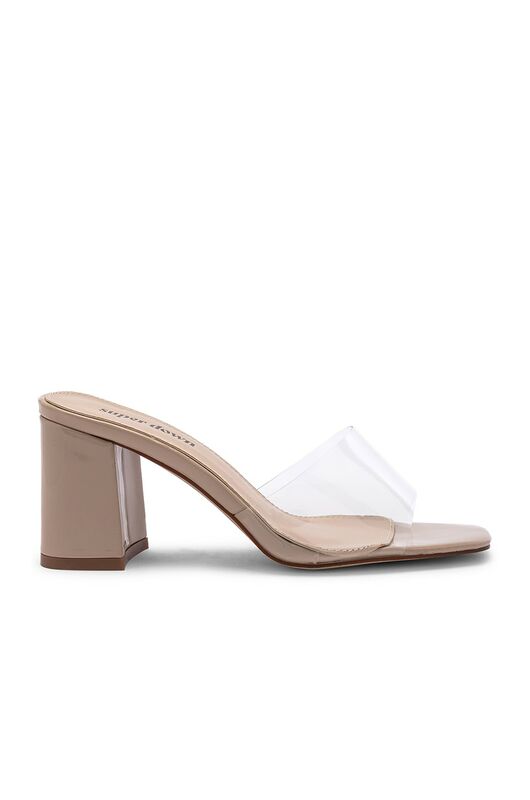 Patent leather heel. Slip-on styling. Heel measures approx 3" H. Imported. SPDW-WZ7. SDSH6 S19.